Family house in panoramic location. The property has access to a private drive which leads directly to the garden and to the box. 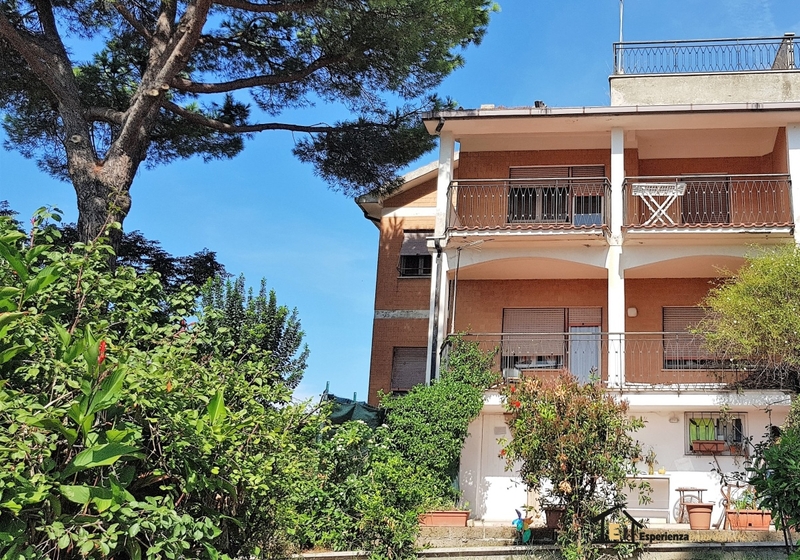 The House is between the ground floor and the first floor where we find: kitchen, living room, four bedrooms and two bathrooms, both plans a large terrace from where you can admire the town of Santa Marinella and the sea and relax. In the basement, connected by an internal staircase, there is a single large compartment to use as a tavern with direct access to the garden and a garage. The home also has a loft with a further terrace. A villa built in the early 70 which to this day still has all the credentials to be a fine villa although finishes and systems need to be reviewed.